In the first part of my article "The Mystery of Vanishing Honeybees (Colony Collapse Disorder)", dated May 3rd 2009, I had mentioned a serious disease capable of bringing complete destruction of bee colonies. Since then, we have been searching for clues on the mysteriously vanishing honeybees. Although not a definite conclusion, the PYRO-ENERGEN group believes that the vanishing of honeybees is caused not by advanced technologies of the century, but by strong persistent yearning or desire of humans to fulfill something not knowing if it will do more harm than good. Do you think that honeybees are happy to be transferred to strange places from one place to another each year as a pollen carrier for the fruits production? Do you think that honeybees born via artificial insemination possess the same physical and mental quality as those bred naturally? Do you think that a natural honeycomb and a synthetic manmade honeycomb are equal at all angles? 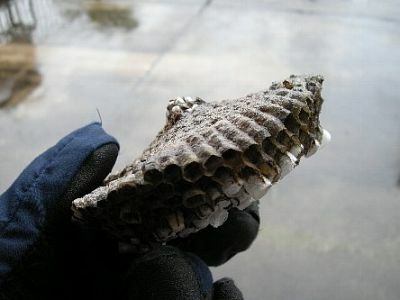 Have you ever thought why honeycombs are hexagonal and flat? 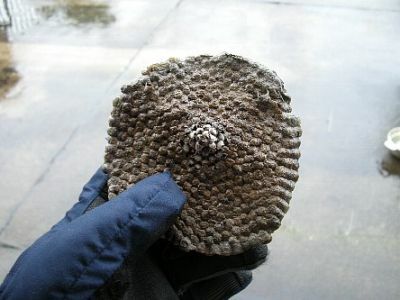 Do you know what is it made of? There are yet so many questions we need answers to. We have collected hundreds of data from honeybee raisers around the world, and found various reasons for the vanishing honeybees. According to honeybee raisers, honeybees that are bred naturally are superior and are physically and mentally healthy compared to artificial inseminated bees raised by humans. Honeybee raisers and even apple farm owners told us that among the honeybees rented and carried by trucks from far places each season during pollination, several number of honeybees fail to return home. However, honeybees that they have raised in natural way never show reduction in their numbers. Natural honeybees know how to survive during winter, and show strong physical attributes. 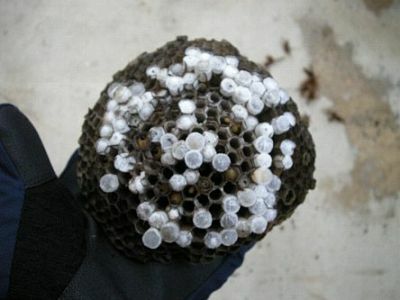 But we do not see such active and healthy bees that are artificially incubated. According to our various researchers, the mysterious mass death of honeybees that we've mentioned in the first part of this article, are caused by death from tiredness, death from overwork, and death from stress. You may not believe these, but honeybees that are bred naturally are healthier, behaves normally, and the death rate as well as non-returning numbers are very minimal. Some of our peach, apple, and grape farmer friends, are now endorsing to do pollination works manually and raise honeybees in natural ways to student volunteers. From this simple information, I believe and realize that many new scientific technologies applied in our life might be facing disaster. Let's take the case of DNA replacement of corn, soybeans, and rice. How about animal cloning? How about simple seedless grapes, oranges, watermelons, etc.? In the time of our children, there may no longer be existing natural and original plants and animals in the world. Let's take another case of sparrows, which we enjoyed seeing every morning on the rooftop and along the electric power lines. But now they are seldom there. This is because modern houses we construct today are no longer fit for sparrows in making their nests, but it fit for crows and pigeons that are health and environmental hazards. Did you know that these birds are changing ecologically? Let us live the way our ancestors did and enjoyed.